In an attempt to feed my insatiable need to travel, and also because I wanted to give my wife a present for our seven year anniversary, I opened the SkyScanner app a few weeks ago and searched for the cheapest flights to a new (and random) destination. For £38 (about €45) I could get a return flight from London to Turin, Italy in December. Not too shabby, right? 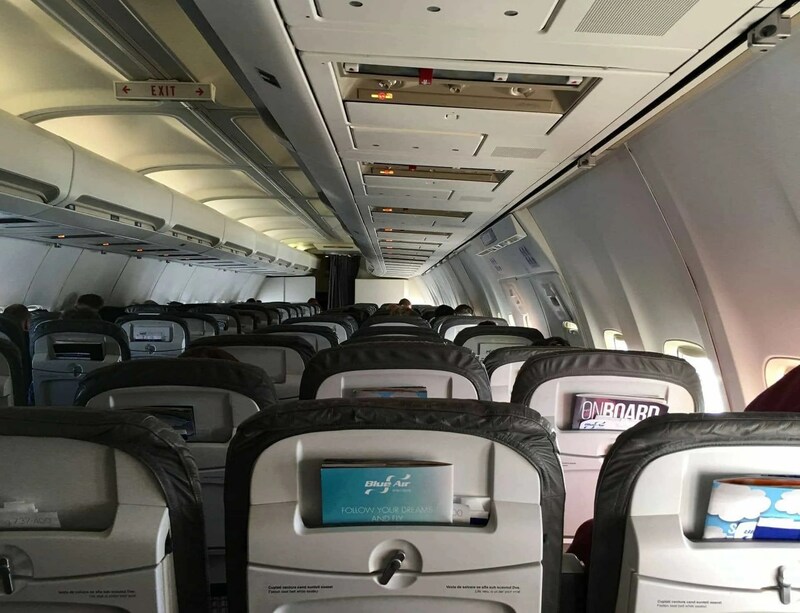 The airline offering this low price was called Blue Air — a Romanian budget airline I had never heard of — so understandably I felt cautious about it. Are Blue Air planes safe and how reliable are they? What will their customer service be like? I didn’t overthink it and just decided to take the chance, booking two return tickets for my wife and I. After all, Turin is only two hours away — what could possibly go wrong!? As soon as you walk onto Blue Air’s Boeing 737-400 it’s quick to see that it’s a pretty basic plane. 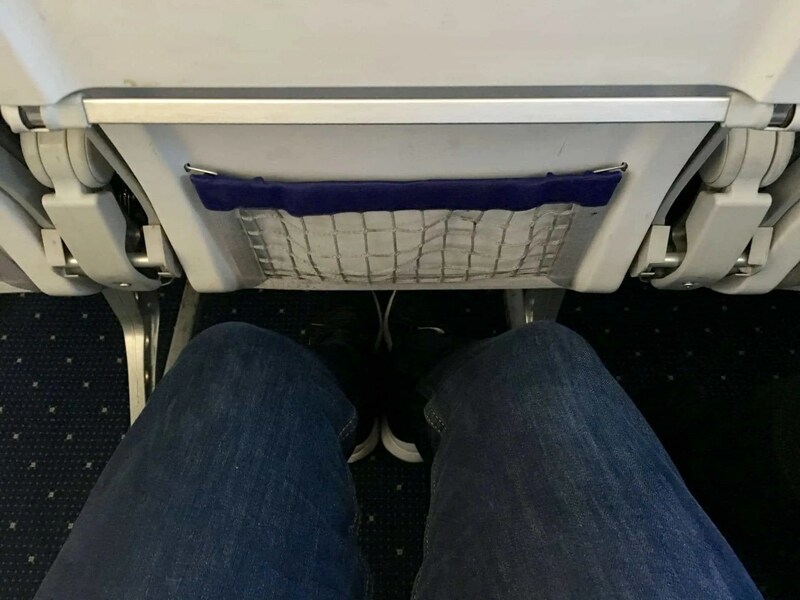 With such thin seats, there’s plenty of leg room! The seats and armrests are quite thin without very much padding, and although they’re perfectly tolerable on a two hour flight I wouldn’t want to be stuck on them for a long haul journey. There’s no fancy ambient lighting either, the overhead compartments look dated, and on both flights there seemed to be an issue with the speaker system — we could barely hear or understand what the air hostess was saying! Blue Air’s seats also come with the typical foldable tray, storage pouch and even a compartment for magazines or tablets — a nice added touch. Would I fly with them again? I’d definitely use Blue Air again. It doesn’t come with the bells and whistles of some other airlines, and I’m sure the costs will stack up if you’re taking hold luggage, but for a short-haul city break with hand luggage it’s a very good option. I guess I can start planning my next trip now then, right? Disclaimer: Blue Air did not ask me to write this post. I just wanted to share my own experience on the airline because I didn’t find many articles on it, and thought it would be helpful to you!